I was very interested to see the Tilbury Band website. I notice that Richard Fox is still a member. Richard encouraged me to join the band when I was about 13 years old and I had many enjoyable years playing. I still get my cornet out of mothballs once a year to play the last post and the odd Hymn at the North Stifford Remembrance Day Service. Realise these photos have been up for quite a while now, but I am genuinely impressed with these. 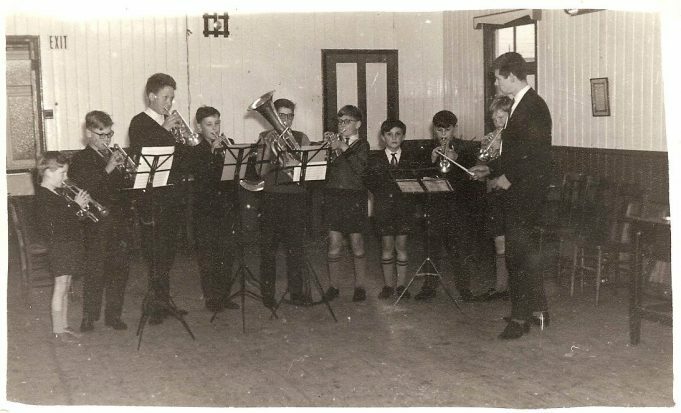 As Band Archivist and Assistant Secretary for The Tilbury Band I’d be really grateful for some high resolution scans (or loan of originals) of any photos you have of the Band as we’re trying to make sure we’ve got a good history of the Band set up for the website and also in our hall. With regard to these old ‘lion tamer’ uniforms, I’ve been in the Band since 1997 and I’m afraid I’ve never seen any of these in our stock. We have one of the 1960s ones still, which I keep in the archive. Again, if anyone reading this has any artefacts regarding the Band, we’d love to hear from you – you can contact us through the Band website (I’m avoiding putting email addresses in posts to avoid spam). You are absolutely right Kathryn that is John. The front row L-R is Michael Byford, Bill Terry (his father, also Bill Terry worked at Tilbury Riverside Station) and Roy Bridgehouse. Yes the uniforms were dark green with black trousers plus lots of gold braid and brass buttons that had to be polished. 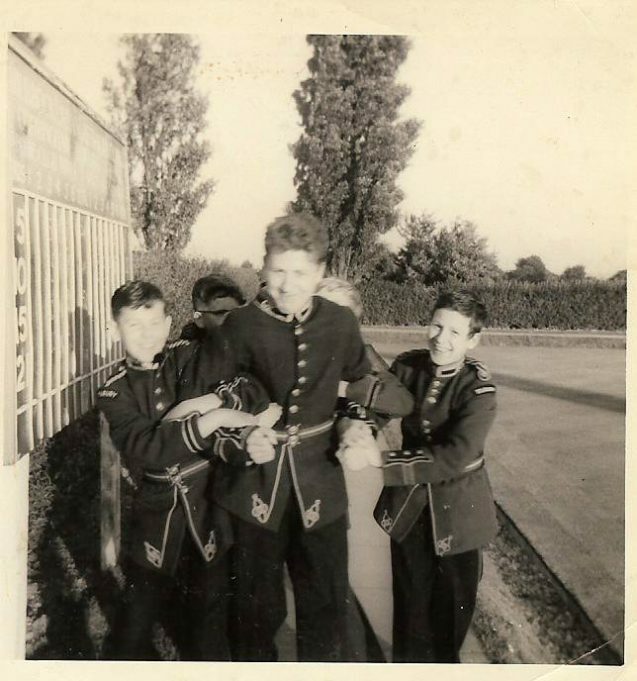 The younger bandsman would taper the bottoms of the uniform trousers which was frowned upon by the older band committee. I hope Tilbury Band has kept some of these old uniforms which could be donated to the Thurrock Museum. I think one of the boys larking around in the picture is my husband. He’s the one in the background in the glasses. His name is John Opie, although some will remember him as John Matthews, his grandad was Laurie Tindale, well known local taxi driver, who at one time was president of the band. I used to live opposite John’s grandparents and can remember hearing John practising. The uniforms were dark green with black trousers.